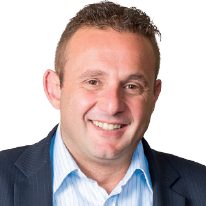 Brett Levy joined the board of the Blue Label Telecoms Group upon its establishment in 2007. He is a director of various local and global group companies. Brett brings a bold entrepreneurial flair to Blue Label Telecoms. Starting in the early 1990s, he has founded and operated many South African businesses, and he has been involved across a wide range of industries, including the distribution of fast moving consumer goods and insurance replacements for electronic goods. 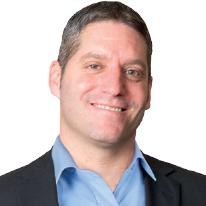 Brett’s business achievements have earned him the ABSA Bank Jewish Entrepreneur of the Year Award (2003) and the ABSA Jewish Business Achiever Non-Listed Company Award (2007), which he won jointly with his brother, Mark Levy. 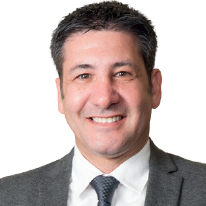 Mark Levy joined the Blue Label Telecoms board on its establishment in 2007, and is a director of various local and global companies in the Blue Label Telecoms Group. An astute entrepreneur, he received a BCompt degree from UNISA in 1993, and then began his career by working as a commodities trader. 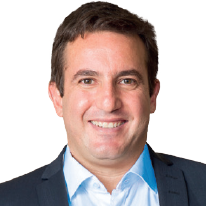 Over the past several years he successfully has led the growth of Blue Label Telecoms in international markets Together with his brother Brett, Mark received the ABSA Jewish Business Achiever Non-Listed Company Award (2007). He was nominated as a South African finalist in the Ernst & Young World Entrepreneur Awards in 2007. In 2010, Mark was voted Top IT Personality of the year by ITWeb and was a finalist in the Top Young Entrepreneur category of the African Access National Business Awards. In 2011 he shared with Brett the Top Entrepreneur accolade in the African Access National Business Awards. 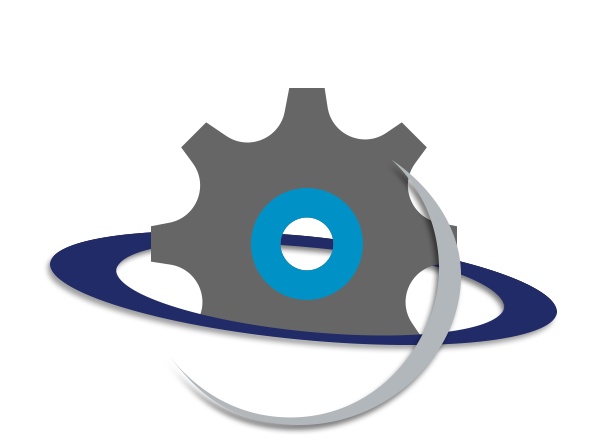 Mark is committed to retaining and instilling an entrepreneurial culture across all the businesses in which the group is involved. Dean Suntup completed articles at Price Waterhouse Coopers, where he continued to work after he qualified as a chartered accountant. In 2003 he joined BSC Technologies, a business established by Mark and Brett Levy, and later became its financial director. In 2005 he transferred to The Prepaid Company in the role of financial director. Dean was appointed financial director of Blue Label Telecoms in 2013, when he also joined the board of directors. He is a director of various local and global companies in the Blue Label Telecoms Group and is a member of SAICA. A respected senior member of the South African business community, Larry Nestadt joined the Blue Label Telecoms board upon its foundation in 2007. He is an astute strategist, and has over 40 years’ corporate experience both in South Africa and abroad. Larry is a co-founder and former executive director of Investec Bank Limited. He has assisted in the creation and strategic development of a number of listed companies such as Capital Alliance Holdings Limited, Super Group Limited, Hosken Consolidated Investments Limited, SIB Holdings Limited and Global Capital Limited. He has served as board chair for each of these companies. Larry has also served on the board of directors of Softline Limited, JCI Limited and Abacus Technologies Holdings Limited. 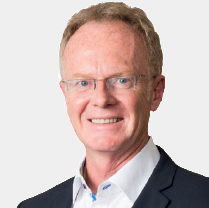 He is a former director of a number of non-listed companies, internationally and locally, including Stenham Limited (UK) and Prefsure Life Limited (Aus). Currently, Larry holds various directorships and is executive chair of Global Capital Proprietary Limited, and chair of Melrose Motor Investments, MoreCorp Group Proprietary Limited, SellDirect Marketing Proprietary Limited and National Airways Corporation Proprietary Limited. Larry joined the Board on its establishment in 2007. As a respected senior member of the South African business community, his strategic vision, guidance and experience contribute significantly to the Board and its deliberations. Gary Harlow graduated from the University of Cape Town in 1979, qualifying as a chartered accountant (SA) in 1982, an associate of the Chartered Institute of Management Accountants (UK) in 1983 and as a fellow chartered management accountant (UK) in 1996. His career was forged in merchant and investment banking. In the early 1990s, he became an adviser to the African National Congress in developing black economic empowerment strategies and in 1992 was instrumental in the creation of Thebe Investment Corporation, South Africa’s first broad-based black-owned company. Gary served as joint chief executive officer of Msele Corporate and Merchant Bank, South Africa’s first black-controlled merchant bank. In 1996 Gary was appointed group chief executive officer of Unihold Limited, where he remains executive chair. He led its transition from an engineering conglomerate to an international IT and telecommunications group, followed by a delisting through a management buyout in 2002. Gary continues to serve on numerous private and public company boards. He is also chair and/or director of various subsidiaries of the Blue Label Telecoms Group. 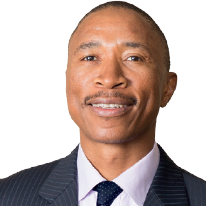 Joe Mthimunye qualified as a chartered accountant in 1993. In 1996, he co-founded Gobodo Incorporated, an accounting practice with eight other partners, which in time became the largest black accounting firm in South Africa. 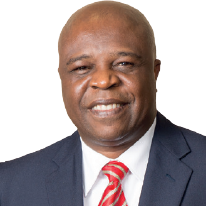 In 1999, he led a management buyout of Gobodo Corporate Finance from the accounting firm and rebranded it AloeCap Proprietary Limited, of which he is currently executive chairman. He also serves on the board of directors of various non-listed companies in which AloeCap Private Equity is invested. Jerry Vilakazi is executive chair of the Palama group of companies, which he co-founded with the view to investing in private and listed companies. He previously served as CEO of Business Unity South Africa (BUSA). He is also the chair of the State Information Technology Agency (SITA), Mpumalanga Gambling Board and Trubok Proprietary Limited. 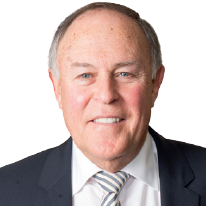 Jerry was previously a director of PPC Limited and recently retired from the position of chair of Netcare Limited. He currently holds directorships at Goliath Gold Limited, Sibanye Gold Limited and Saatchi & Saatchi. Jerry is a member of the National Planning Commission and previously served on the Presidential B-BBEE Advisory Council and Public Service Commission. He is an adviser to Citi Bank in South Africa. Kevin Ellerine joined Ellerine Holdings in 1991, and in 1993 was appointed as property manager of Ellerine Bros. Proprietary Limited, rising to managing director of the property division in 2000, a position he still holds today. He is a member of the boards of the property and private equity companies in which Ellerines is invested. Kevin’s all-round business skill and acumen contribute to board and committee deliberations in the Blue Label Telecoms Group. Kevin is a director of various other companies, including some Blue Label Telecoms Group subsidiaries. For more information see our governance framework.